Hankering to read a YA SciFi Mystery? Then check out A.B. 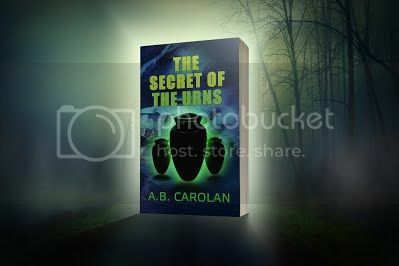 Carolan's The Secret of the Urns. Set in the same sci-fi universe as A. 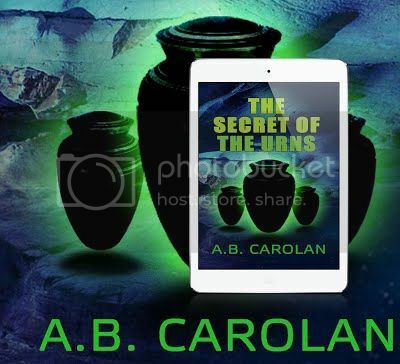 B. Carolan’s The Secret Lab, this new young-adult sci-fi mystery explores a Jupiter-sized planet’s satellite in a faraway solar system where human scientists are studying local flora and fauna but behaving badly until a teen who wants to study the satellite’s ETs comes along. She shows that cooperation is better than xenophobia. 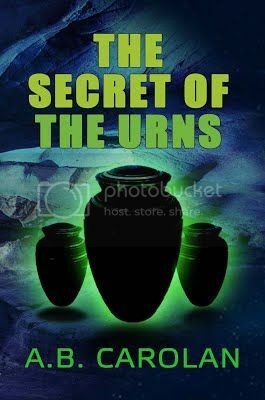 In the process, she discovers that the ETs’ beliefs go far beyond ancestor worship. Based on Steven M. Moore's short story "Marcello and Me." Irish author A. B. Carolan is a collaborator of American author Steven M. Moore. They both agree the combination of the sci-fi and mystery genres created by Isaac Asimov makes for interesting reading. They met at Blarney Castle in Ireland. A. B. loves writing for young adults and adults who are young at heart. Some Donegal neighbors think he’s related to that great Irish harpist, Turlough O'Carolan. 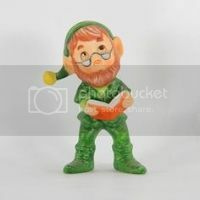 Others say he was stolen and raised by leprechauns. They do a lot of kidding in Donegal.